Quick Links: Tire ignorant Do I need to re-gear? $760 Nitto Terra Grapplers? Rims and tire suggestions for my 2016 Want to replace my 265x65x17 with bfg 285x70x17 Are these the right size wheels for my stock tires? Discussion in 'Wheels & Tires' started by tshelrud, Jun 13, 2007. 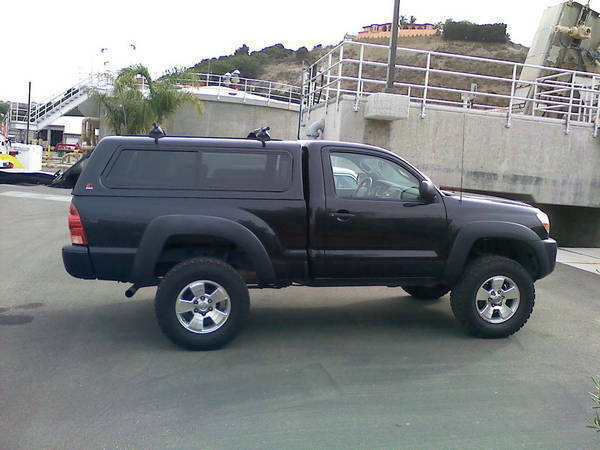 Leer Shell,Surf Racks Just Clean and Black!, Stock, but still get looks? What? !, Toytec OME 3'' Front w/add-a-leaf rear,And one hot 3 year old Australian Shepard rollin hard son! The wheels in my opinion look way better as 17s than they would 16s. Im am stoaked with my set up! If they're not rubs then I suggest you should get Handkook Dynapro ATM . They're good tires and cheap .